New Mexico Gov. Michelle Lujan Grisham has selected a member of the Navajo Nation to serve as the New Mexico Public Education Department’s deputy secretary of Identity Equity and Transformation. Kara Bobroff is of the Salt People Clan, born for the Lakota People. Her family is from Ramah, N.M., though she now resides in Albuquerque. Damon expressed gratitude to the governor for selecting Bobroff to the Public Education Department. Bobroff’s advocacy and policy efforts are critical to aiding tribes in New Mexico, Damon said. He has the utmost confidence in her expertise on Indian education in the state of New Mexico, Damon added. 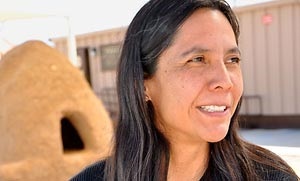 In 2006, Bobroff aided in establishing the Native American Community Academy in Albuquerque, which was recognized as a model for effective indigenous education by the New Mexico Indian Education Sub-Committee. Bobroff was also invited by the Bureau of Indian Affairs to participate in national strategic reform for Indian education, and has extensive experience working in education in low-income communities. She has also has been recognized as one of the “Best Emerging Social Entrepreneurs” in the country by former President Barack Obama. Bobroff’s appointment exemplifies Lujan Grisham’s commitment to improving tribal and state relations, Tso added.